Please Huck - you can not be serious! This guy shows in all detail that the Nuclear Hexagram is a purely THEORETICAL CONSTRUCT that is derived from 2 OVERLAPPING core-TRIgrams (2 x 3). This I-Ching System ONLY works with TRIgrams. Please see my edition above! 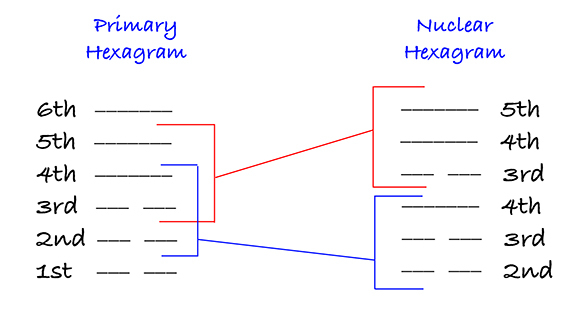 Here is how to construct a Nuclear Hexagram.